When a PR begins with “Hard Rock Harmonica Hero”, excuse me for picturing a scrolling console game with a very strange controller… The hero in question is actually Will “Harmonica” Wilde, a man who has made a career out of essentially playing guitar solos on a mouth organ (or “moothie” around these parts). While the harmonica has its natural home in the blusier tracks, it has popped up from time to time in some well known rock numbers – Neil Young’s “Heart of Gold”, Springsteen’s “Thunder Road”, even Black Sabbath’s “The Wizard”. 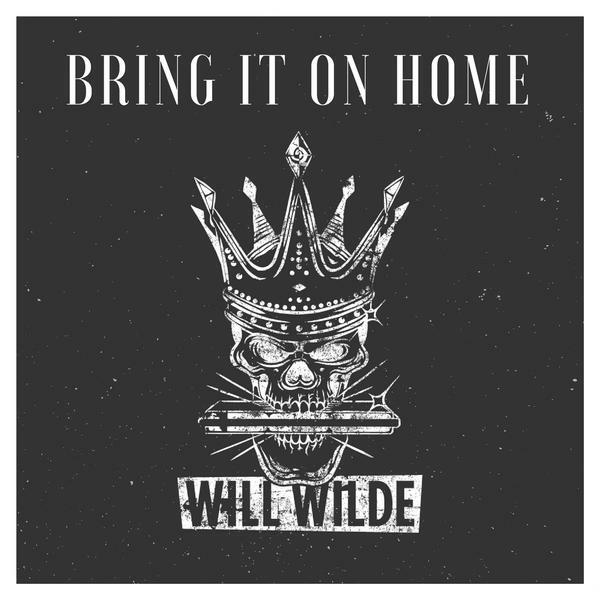 The latter is one of the tracks on this very album, being as it is eleven cover songs from a wide range of original artists all tied together by Wilde’s ability to rock the harmonica. And rock it he does, through up-tempo numbers like “I’m Your Witchdoctor” (John Mayall), the more blues-influenced “My Brother Jake” (Free) and tracks where a harmonica really has no place… and yet somehow it works, such as Deep Purple’s “Lazy”. This is a man, ladies and gentlemen, who has his own bespoke tunings for a harmonica. I didn’t even know that was a thing. As a covers album by any band this would be a great collection (tracklist at the end), but with the added twist of the underused harmonica coming to the fore it does stand out from the crowd. I have one issue, though, and that’s with the mix. I listen with headphones when I’m drafting a review, and I just couldn’t shake the feeling that the sound coming into my left ear seemed somewhat… dampened or muted. This occurred regardless of how I tweaked my audio settings and did take the shine off things for me. Technical issues notwithstanding, a great bunch of songs.